A back three for Cook at Bramall Lane? Three at the back for Latics? Dan Burn was thinking ahead of his expected move to Brighton in January. But was it in the back of his mind that he might be playing there too for Latics over the next couple of months? Paul Cook reverted to a line of three central defenders in the final third of the Millwall game, Burn looking so much more comfortable there after a difficult time as a makeshift left back. 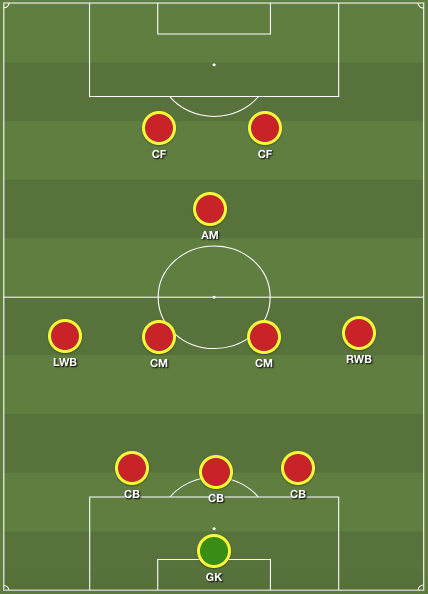 Most managers have a favourite formation and Cook is no exception. The 4-2-3-1 that has been the default system during his tenure as Latics manager has enabled not only good results, but good football too. Under that formation Latics have used the flanks to great advantage, stretching the opposition defences wide. Sadly, Cook has lost his most favoured wingers – Michael Jacobs and Gavin Massey – to injury. The two were able to not only attack with pace but play a key role in dropping back to help regain possession. Their all-round team play been sorely missed. Another feature of Wigan’s best performances this season has been the high press, with the defence pushing up in a high line and Christian Walton playing an important role as keeper/sweeper behind the defence. Although still evident in home games it has been not the norm on the road since the attacking performances in the first two away games at Aston Villa and Stoke, where Latics’ play was a joy to watch. Some managers are stubborn in sticking to the same formation, come what may. It has advantages in that recruitment can be built around the needs of that system, with players knowing precisely the role they are playing. The disadvantage is that the opposition know exactly what to expect and can find ways of shutting it down. At Portsmouth Cook was criticised for not having a “Plan B”. 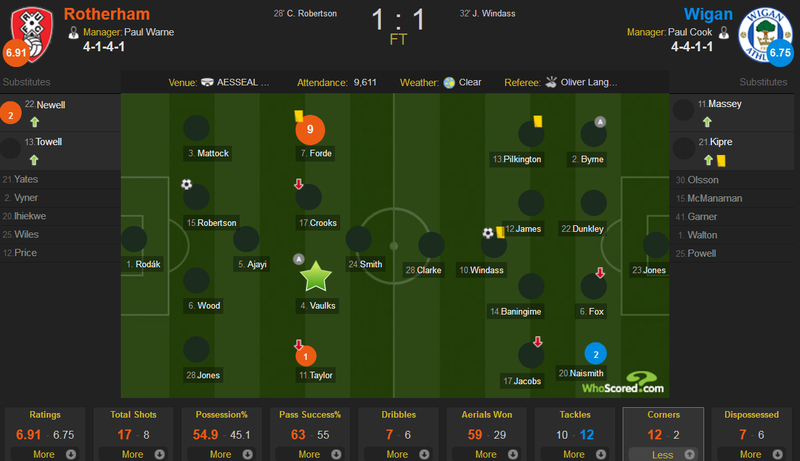 But at Millwall he started out with a version of 4-4-2 and switched to 3-5-2 in the second half. Wigan’s football at the New Den could be best described as “direct”. Last season in League 1 we had witnessed similar occurrences, with long balls being launched forwards in a Plan B mode. Not many teams play 4-4-2 these days, but some do, and they can use it successfully. Like any other system its successful functioning depends on having the right players in the right positions. It could be argued that 4-4-2 lends itself better to a more direct approach than 4-2-3-1, with defenders able to put in weighted long passes to twin strikers. The problem with the version of 4-4-2 we saw at Millwall was that the long passing was rarely well weighted. Some managers will change their starting formations according to the opposition. Uwe Rosler did that very successfully in his first season at Wigan, switching between 4-3-3 and 3-4-3/3-5-2. Is Cook now looking at doing something similar? Burn has shown himself to be an accomplished central defender at Championship level. However, Cook will be loath to break up a blossoming central defensive partnership of Dunkley and Kipre. Cook can solve some of his headaches by operating a 3-4-1-2 system, with full backs James and Robinson able to push forward with more security behind them. 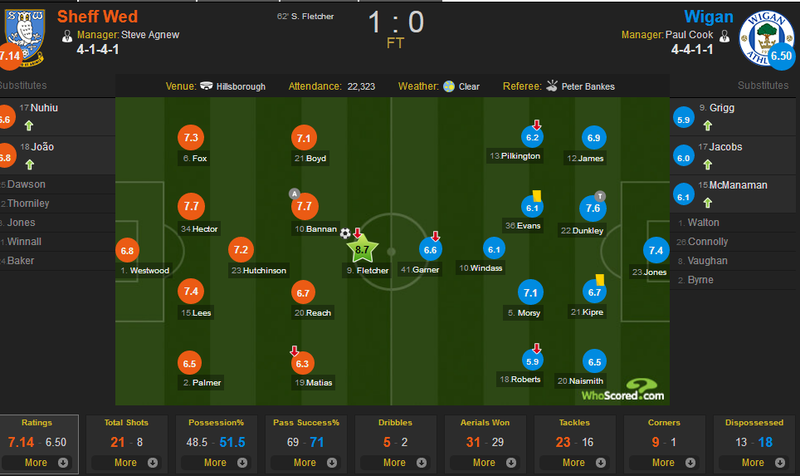 Nick Powell could play a similar role as before between the holding midfield and the forwards. We have seen so little of Callum McManaman so far, the pundits suggesting that he is still not fully fit and does not track back from the wing in the style of Jacobs and Massey. McManaman thrived in Roberto Martinez’ 3-4-3 where had a free role. With Lee Evans unable to play against his parent club, Callum Connolly will most probably move into central midfield tomorrow. Were Cook to decide to play with three at the back we could see a lineup something akin to: Walton – Kipre, Dunkley, Burn – James, Connolly, Morsy, Robinson – Powell – McManaman, Windass. Cook’s dilemma rests in whether to switch to three at the back – which is really five when under pressure – or to stick with the 4-2-3-1 system that has served him so well. No matter which formation the manager adopts the discerning fan will be looking for an attacking approach following the lack of ambition shown in recent away games. Seeing Latics adopting the high press early on would be a good sign. Keeping the hoofing to a minimum would also mean less pressure on the defence as more possession is retained. Cook deserves great credit in bringing Latics through to a mid-table position at this stage of the season. They have already shown they can compete with the top teams. Should Latics adopt an attacking approach at Bramall Lane tomorrow and get badly beaten the manager will suffer some degree of flak. On the other hand, were they to be as negative as in recent away games and still lose he would suffer even more.